If you’re looking to breathe new life into your primary school ICT lessons, look no further than the new interactive learning aids from Clevertouch. Designed specifically with classroom learning in mind, Clevertouch’s innovative touchscreen system can change the way your pupils learn about computing and technology. The traditional interactive whiteboard is now over 25 years old and has been in need of a replacement for a while. 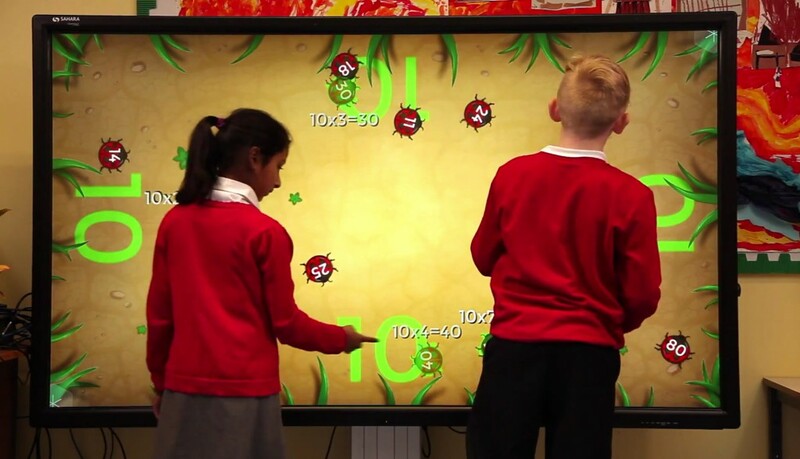 With recent developments in touchscreen technology allowing multiple users to manipulate theClevertouch system at the same time, primary school ICT and computing can now be a collaborative affair. Through the use of Clevertouch, teachers and students can access internet and multimedia resources at the gesture of a hand, ensuring primary school ICT can be enhanced and refined for the next generation of learners. With school ICT and computing skills a must in the modern age, Clevertouch can help children concentrate and retain information using audio-visual solutions. Around 90% of tested students were found to have higher retention skills after using audio-visual technology, like the kind used in Clevertouch. This just goes to show the improvements that can be made by integrating Clevertouch systems into primary school ICT lessons. One of the key ways to engage children with a subject is to ensure that the information they are provided with is clear, visual and easily accessible.Clevertouch covers all these bases, providing teachers with a central source of learning power. While traditional whiteboards and projectors suffer from obscured clarity and shadowy screens, Clevertouch is unaffected by either. When you are trying to maintain a child’s focus on a particular presentation, this can prove to be an invaluable feature. 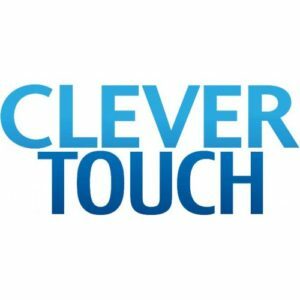 Another innovative aspect of Clevertouch’s display is its ability to register 32 different touch points at any one time. In a classroom environment, where you are looking to improve the collaboration skills of your pupils, this can remove the need for groups to take turns using the Clevertouch system. Primary school ICT centres around increasing children’s computing skills — and the more time they get to spend exploring and manipulating ICT programmes, the more information they are likely to retain and use. It’s understandable that some teaching staff may be reluctant to use new technology in their lesson plans. But, by integrating Clevertouch into your primary school ICT lessons, you can significantly enhance the learning quality. Audio-visual solutions can augment any number of subjects, ensuring children have instant access to high-resolution, internet-based resources. No matter the learning capabilities of the children in your care, Clevertouch can provide an expert solution to your school’s needs. Its increased interactivity engages students with core ICT principles that they might otherwise miss out on. Nearly 40% of teachers whose students come from low-income backgrounds feel their school is behind the technology curve, making it difficult for children to learn relevant, up-to-date ICT skills. By implementing an audio-visual solution such as Clevertouch, you can ensure that every one of your pupils has instant access to a wealth of ICT resources and are able to use them in a fun and intuitive manner. Adapting to new trends may not always feel like a viable use of money or time, but with Clevertouch, you are completely redefining the way primary school ICT is approached. In the same way that schools learnt to universally embrace the interactive whiteboard, Clevertouch technology will soon be a regular part of the learning experience. Introducing Clevertouch at this stage in the process could see your primary school ICT lessons flourish in the years to come. 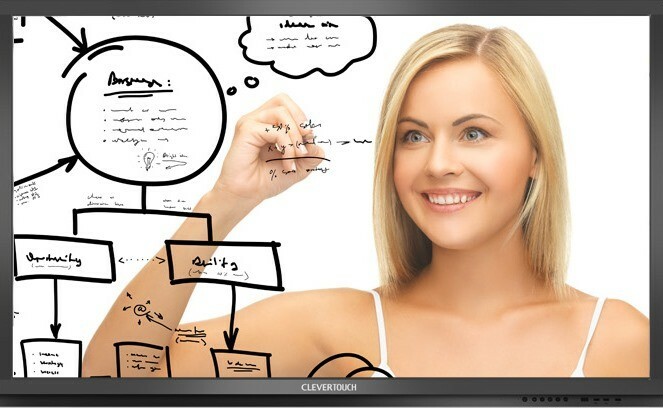 Netcom 92 is a certified provider of Clevertouch technology. For more information on how our audio-visual solutions can benefit your primary or secondary school, give us a call today on 01279 441 505 or get in touch via our contact page.